We are insured and Licensed Plumbers you can trust. Need garbage disposal repair and replacement in NYC? Call us now at 347-502-6441 for 24/7 Emergency Plumbing Service in QUEENS, BROOKLYN, AND MANHATTAN. Or you can schedule us to fix your garbage disposal through our online calendar. Need garbage disposal repair and replacement in NYC? Most of us rely on properly functioning garbage disposals but when you are running a business, garbage disposal plumbing service becomes a necessity. Many apartments and businesses rely on kitchen disposals to reduce the chance of clogs in the plumbing pipes by chopping up the waste before passing through the drain pipes. Apartments, schools, restaurants, hospitals, hotels, and nursing homes cannot afford kitchen downtime. Sometimes disposals get overwhelmed with food, straws and even dishcloths. You can rely on Rite Plumbing and Heating to assess, replace, repair, or install malfunctioning garbage disposals so you can get your residential kitchen or business back up and running. We care about you. We are here 24/7 for emergencies. There is nothing more important than fixing your garbage disposal quickly so that any plumbing system backup can be relieved. Do not fix this yourselves. Rite Plumbing and Heating experts can repair most brands and sizes of residential and commercial garbage disposals. Worn out seals that can cause leaks so that health concerns are not an issue. Jams that happen when hard-to-grind food and other items cause the garbage disposal blades to malfunction. Burned out motors that cause humming noises. Units that do not work at all. Units that will not drain. What Happens when Garbage Disposal Replacement is Needed? 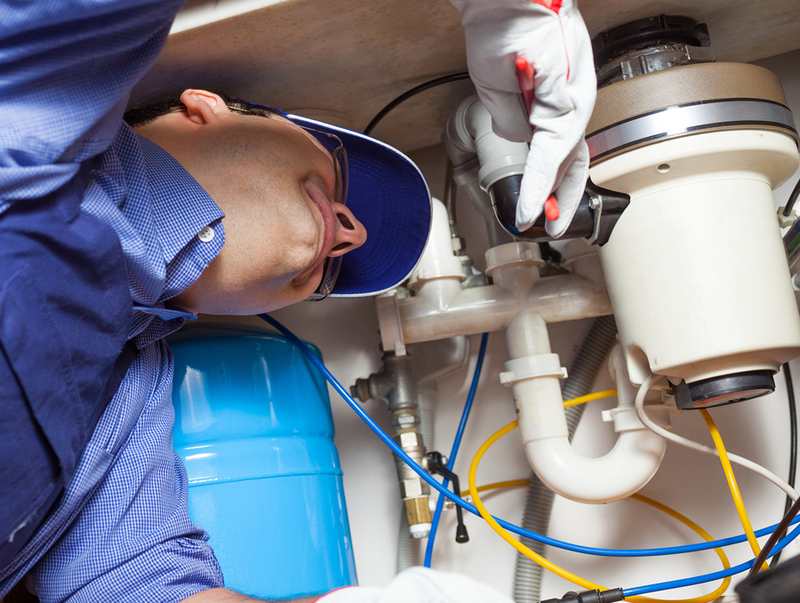 Garbage Disposal Replacements are necessary when your unit cannot be properly repaired. Call Rite Plumbing and Heating. We are equipped to handle replacing and installing most units. Our certified technicians can make proper connections to the plumbing system and power source. Our professionals will recommend a garbage disposal that fits your needs and budget. Please call our master technicians to handle these dilemmas; otherwise you could be looking at kitchen health hazards. Don’t delay! Rite Plumbing and Heating in New York City services commercial properties, residences, and businesses. We are a insured and licensed plumbing/heating company offering resolutions to your garbage disposal repair and installation needs in the New York City and surrounding areas. Need garbage disposal repair and replacement in NYC? Schedule us to fix your garbage disposal through our online calendar.